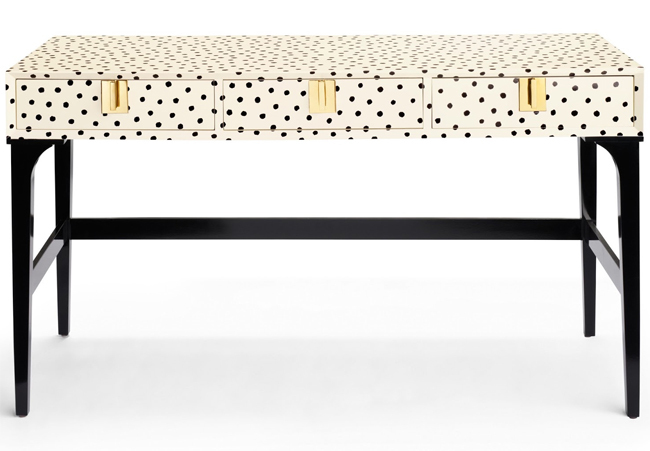 As I mentioned before, I fell & fell hard for the Kate Spade Downing Desk when it we debuted last year. It basically epitomizes everything I love in one piece of furniture. And after they were dry & the drawers were still out, I screwed the three of them together to make one long piece to give it a bit more stability. I also wanted the three units together so when adding the spots, the spots were aligned. For the spots, I pulled out one of Chloe’s watercolor brushes (you know the ones that come with the rainbow color array of ovals in the white plastic tray) and a spare can of Rustoleum Chalkboard paint, as I always seem to have extra around, even though I haven’t done a chalkboard project in about three years. Ha! 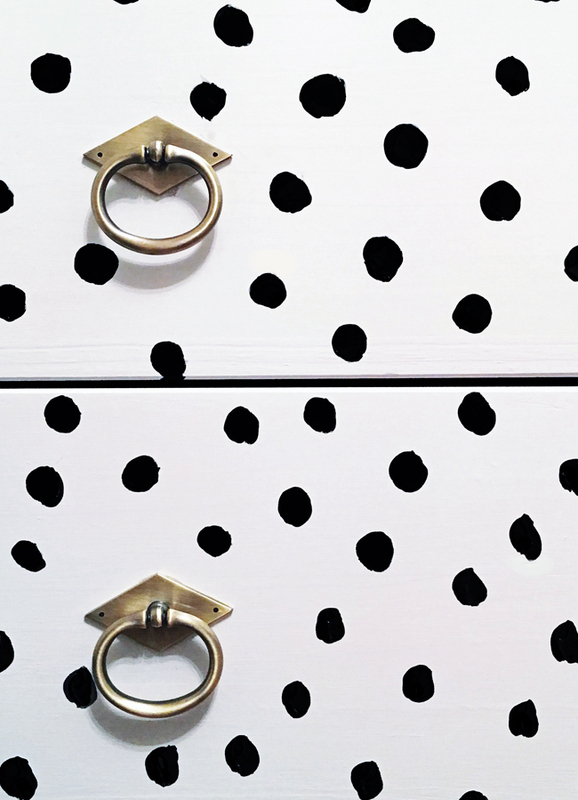 I opened the can, dipped my brush & went forward with creating my spots. No two are alike. No two are equally spaced. I think that adds to the fun of this piece. I did have to do two coats of each of the dots… and if I didn’t cover the spot exactly, it was no big deal. This was a very low stress DIY. And that was it. 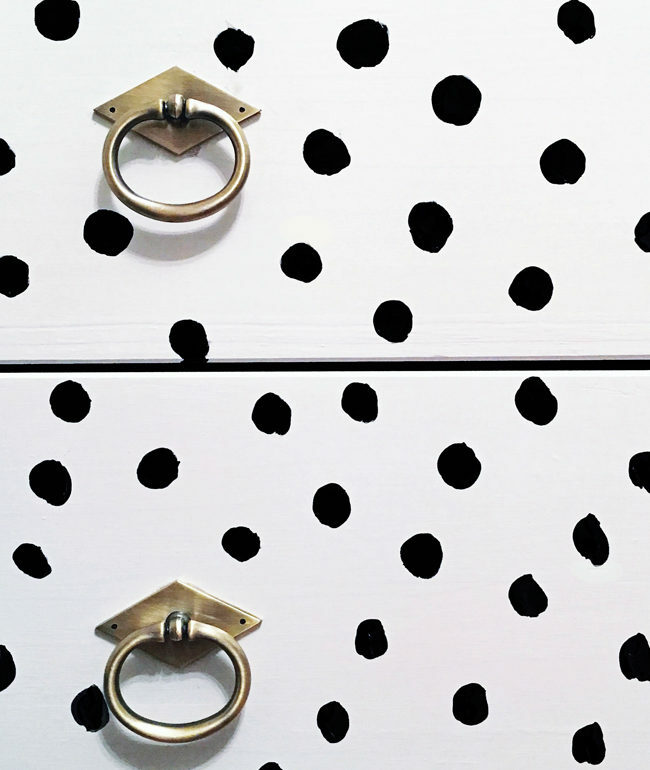 A little spray paint, a few (hundred) spots & some pretty hardware was all it took to transform the Ikea Rast into something that appears a bit more expensive. I definitely would not call this an Ikea Hack. So I will stick with Revamp. Now to be completely honest… if you are not familiar with the Rast in person, it is small. It is only about a foot deep & only 27″ high. Even after reading the dimensions online, I was still surprised at how small it felt once assembled. 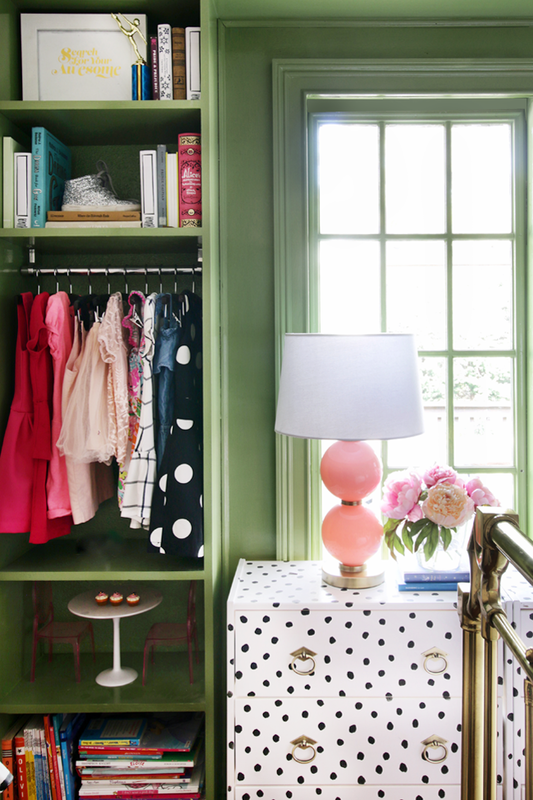 A standard dresser, buffet, console, desk, etc… are usually around 29-33″ high. The reason why I love this scale for her room is it is very much scaled for her… she’s 5 1/2 (can’t leave off that half!!) So that is just something to keep in mind if you want to move forward with a similar project. The beauty of this project is that it could be done on just about anything. So be sure to find the right piece for your space. This just so happened to be the right one for us.